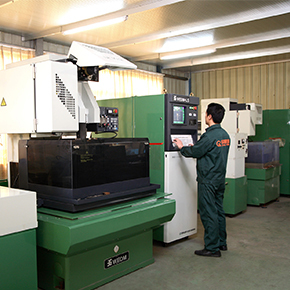 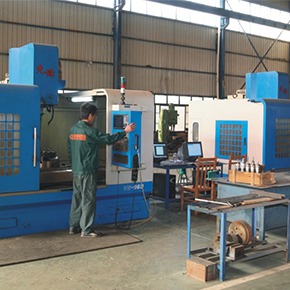 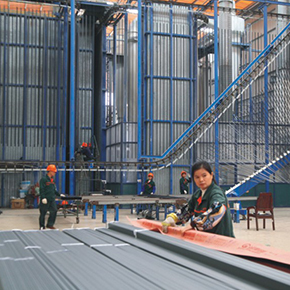 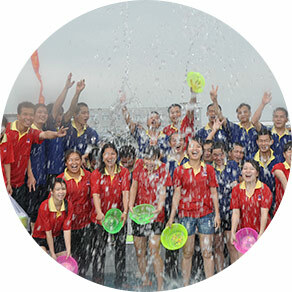 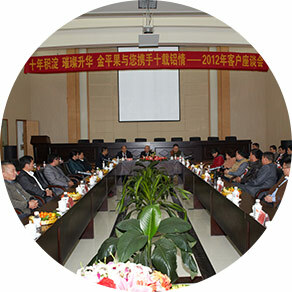 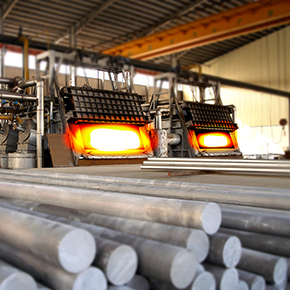 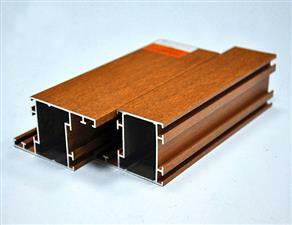 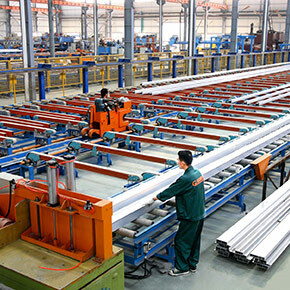 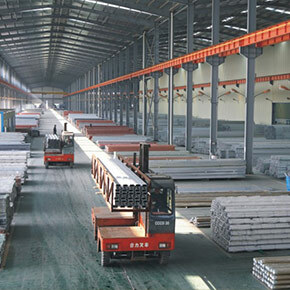 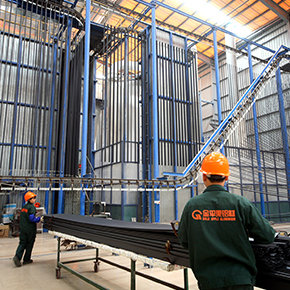 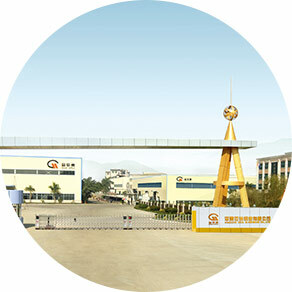 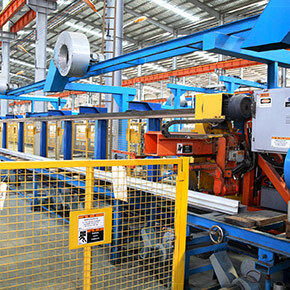 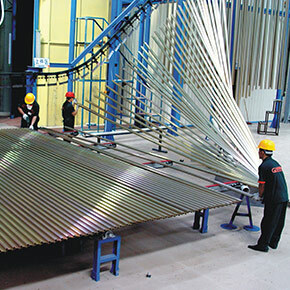 Our company holds global updated production equipment and quality inspection system, the surface processing include series of aluminium profiles that have been subject to the processes of mill finish, oxygenation, electrophoresis, polishing, powder spraying, PVDF, wet painting, wood grain transfer, thermal break and insulation, and used for such four majors fields as door and window, curtain wall, decoration and industry. 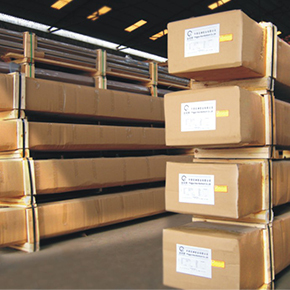 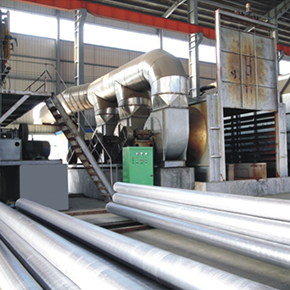 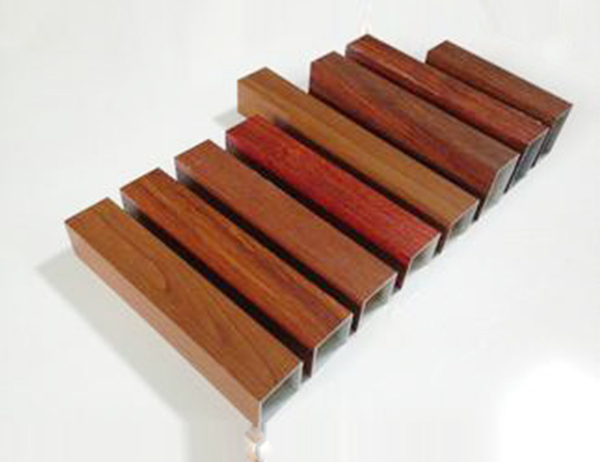 Wood heat transfer process:Aluminum rack after degreasing and chemical oxidation to the skin, then washed with water, using chromium chromate, then after washing drying, in the spraying step, the aluminum rack after blowing dust, wipe, spray paint, fluorocarbon fluorocarbon paint, drying and curing, the wood grain transfer step, respectively to the transfer tank and soaking tank in water heating, and then sink on the surface of the tile in the transfer film, then the surface contact with the aluminum film, coating film on the grain will be transferred to the aluminum surface, and then transferred to the aluminum soaking tank, after cleaning, wipe dry aluminum, drying and curing. 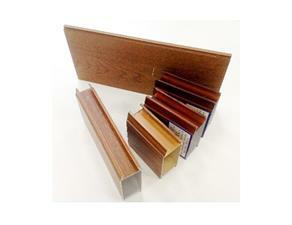 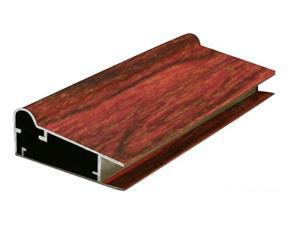 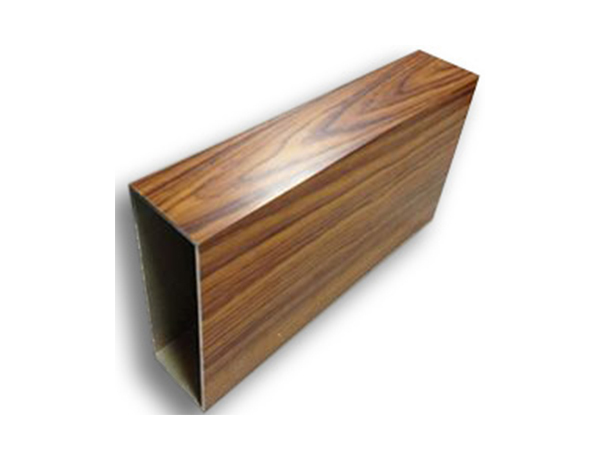 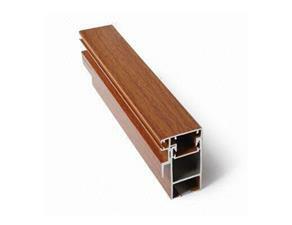 Wood Color can be matched as per customer’s requirement.We can promise 99% similarity and provide steady color. 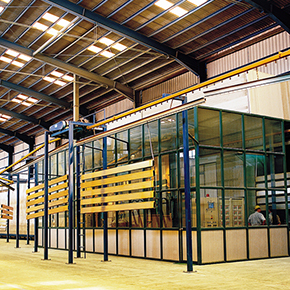 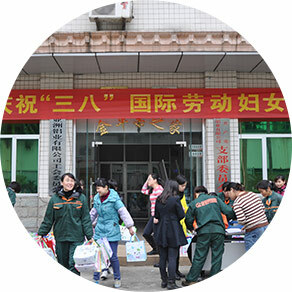 We provide at least 10 years guarantee for indoor products.